Looking for online practical training leading to the ability to work as a sofer, a Jewish ritual scribe? WebYeshiva.org, announces the first of its kind 10-week fully interactive online Safrut training course for men to be held through its Halacha Mastery & Semicha Program. Starting November 15, the course is open to eligible candidates and is being taught in conjunction with Master Sofer Rabbi Eliezer Adam of the Machon Melechet Shamayim Institute. Each session will last 90 minutes and upon completion of the course and passing the exam students may be certified as a Sofer Stam, a Jewish ritual scribe. “Teaching safrut online is an amazing breakthrough because it gives people in both remote places or who simply would like the flexibility to learn from home the opportunity to do so,” says Rabbi Adam. “This kind of opportunity didn’t exist until now because it was assumed to be impossible but we’ve made it possible,” he said. Rabbi Adam has been teaching safrut for over twenty years and in that time has certified over 2500 students. 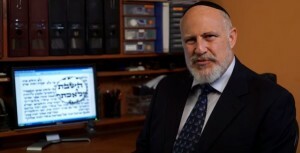 This new online course will make use of WebYeshiva.org’s state of the art video conferencing system which allows teachers and students to communicate in real time as the class is being taught. While the teacher is able to highlight texts and other materials and point out details with various online tools students can engage the instructor and interact with each other. For this course in particular students will also scan in writing samples to send the teacher for review. “The internet is an amazing tool and like anything else it can be used for the good or the bad and here we are using it for an amazing mitzva,” Adam said adding the WebYeshiva.org and Machon Melechet Shamayim collaboration is the perfect partnership for a program like this. While sofrim the world over have used the internet to sell their products this will be the first known organized effort to certify students as Jewish ritual scribes online enabling them to write mezuzot, megilot, and more following the initial training. The basis for this novel online approach to Torah learning stems from WebYeshiva.org’s founder and Rosh Yeshiva Rabbi Chaim Brovender’s innovative method and efforts to bring Torah study programs to Jews across the world. Launched in 2007 WebYeshiva.org was the first fully interactive online Torah study program and caters to students of all levels and backgrounds. Previous articleAttorney Feldman: Does the Prosecution Want Rav Pinto to Die? Terrible idea. Safrus is a mesora. Not for everyone this could get into the wrong hands. You need to be a great yarei shamayim. Your concern noted, you should know that the program is no different than if you were applying in person for any other legitimate Halachic program with a legitimate teacher, whether it be for smicha or for something else. The class was a resounding success and if you have further questions we’d love to answer your questions. Thank you!